Scrum.org and Age of Product have released recently the 2019 Scrum Master Trends Report. This report is a follow-up to the 2017 Scrum Master Salary Report. 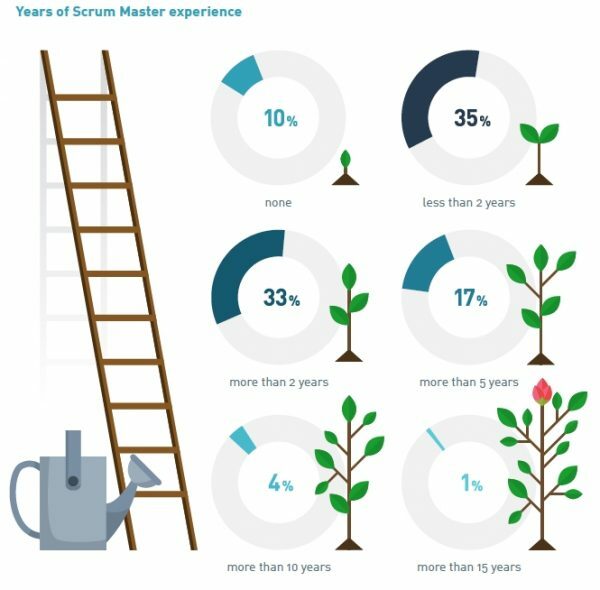 The 2019 Scrum Master Trends Report is based on a 2018 survey of more than 2100 participants, with a focus on trends useful to both new and experienced Scrum Masters. The survey results reveal salary trends and agile adoption patterns, while also exploring gender equality within the Scrum Master role. The participants represent 87 countries and come from all levels of experience. Being managed by Scrum.org, this survey could have some biases created by the participants’ recruitment. For instance, 55% of the participants had a Professional Scrum Master certification (provided by Scrum.org) and only 33% were Certified Scrum Master (provided by the Scrum Alliance), normally the largest Scrum certification body in the world. It should be noticed also that 45% of participants have more than one certification. This report provides an overview of a lot of information about the Scrum master profession and also the use of Scrum in organizations. I was surprised by the relatively low level of experience of Scrum Master in their job. Almost 50% have less than two years of experience and 10% have no experience at all. This is correlated by the evaluation of the organization progress in Agile adoption as 42% of them are still in the early stage or even still applying a waterfall approach. A large part of this survey is dedicated to a Scum Master salary survey and provides comparisons by gender and areas. It was interesting to see how higher salaries were paid to people with certification, but this might also be due to the fact that it is easier to find money for a certification course of you are already in a high-salary country.